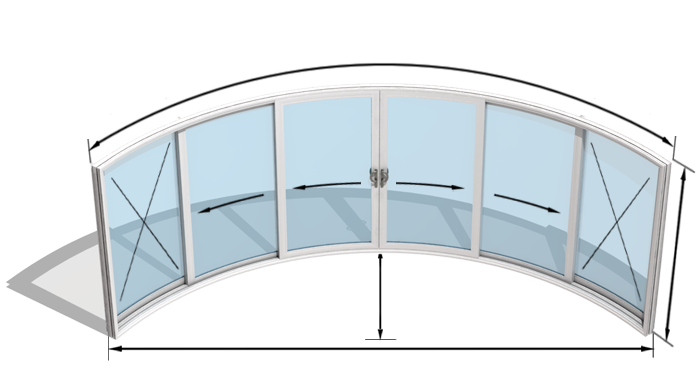 We are deals in all the types of automatic doors in uae Automatic Curved Sliding door in Dubai , Sharjah Ajman Alain Abudhabi United Arab Emirates. AADCO has established special R&D department, Tooling department, Testing department, Assembling department, and Packing department. Meantime, in order to guarantee the quality of product, we purchase the imported high-quality machine from USA & Germany. The PCB of the controller are printed precisely by the SMT machine, the motor are coiled by the automatic coil winding machine. From the testing procedure, all the types of controllers and electronic parts will stay in power for more than 36 hours to check whether all electronic devices work well, each motor needs to pass the severe testing before selling, hardware will be checked under the strict QC system. So that our enterprise could supply products with good quality and competitive price. Australian Automatic Door Co LLC takes Quality, Efficiency and Service as the motto. So we provide 24 months warranty. During the warranty period, we can replace the parts of problem with new ones for free. Aadco Topp have the most dedicated international service team. If you have any question or meet any problem, please feel free to contact us at any time, we’ll reply you and help to solve the problem at the soonest. We have professional design team, which can rebrand the customer’s logo and company name as per customer’s wishes.